When you hear the name Club Med, the first thing that pops into your mind may be indulgent fun in the sun. You might envision yourself surrounded by other exuberant guests, all enjoying the best that a tropical paradise has to offer. And certainly, Club Med offers plenty of those experiences, in some of the most beautiful warm-weather locations in the world. But it might surprise you to learn that Club Med also offers some great options for snow bunnies or those who are eager to hit the slopes. These aren’t your run-of-the-mill ski trips, though. You will be enjoying a getaway to the mecca of all ski experiences, the Alps. This is a chance to mingle among the most elite travelers on the slopes, while staying at the most exclusive and luxurious resorts. Choose from among 20 resorts, located all along the Alps in France, Italy or Switzerland. The skiing is great, and the views are even better. This is the type of environment that skiing aficionados dream about when imagining the experience of a lifetime. The resorts all offer a wide range of skiing options for guests of all abilities and skill levels. Beginners can opt for the more hospitable paths, while advanced skiers can tackle the challenging expert options. And everyone can take advantage of the opportunity to explore the beautiful countryside and natural terrain. Activities aren’t just limited to skiing, either. These properties accommodate all sorts of outdoor winter sports and other activities. You may decide to just explore the area on a relaxing walk—or pamper yourself with an indulgent treatment at the luxury spa. Even if you aren’t particularly skilled on the slopes, this can still be an incredible opportunity to relax while immersing yourself in stunning winter landscapes. You don’t even need to venture outside if you prefer to stay warm indoors. Sit and chill out by the fire in a cozy chalet while gazing out at the picturesque winter scene outside. Best of all, these are all-inclusive packages, so everything you want—from lift tickets to dining—is already factored into your bill. Packages encompass all of the important essentials you will need. Improve your skills with group lessons that help guests master the essentials of skiing and snowboarding. Enjoy fine dining and all-day snacks, along with an open bar serving alcoholic and non-alcoholic drinks. Life tickets are already covered, as are taxes and tips. 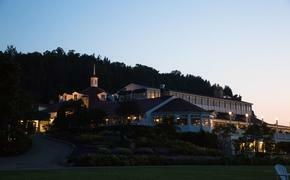 Family-friendly packages are geared toward guests of all ages. There are plenty of fun activities for the whole family to enjoy. If the adults want to relax in the bar or hit the more advanced slopes, childcare is available and the kids will be happy and entertained as they participate in the unique activity programs designed for kids ages 4 through 17. Don’t just imagine the incredible ski vacation of your dreams—make it happen. This is a once-in-a-lifetime opportunity to enjoy an unforgettable vacation in one of the most popular and spectacular ski destinations in the world. 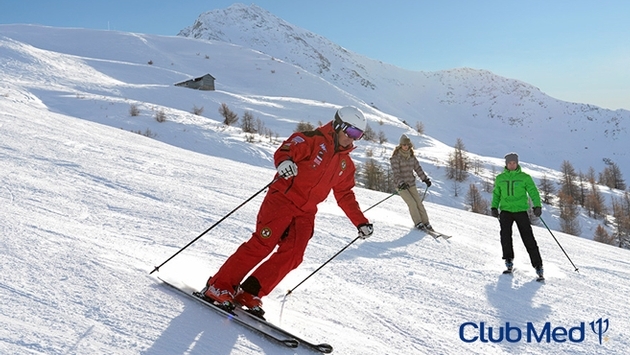 Learn more about Club Med ski vacations.